Being the best in various aspects of life is what we all look forward to and strive to achieve. Be it any profession or hobby; the aim is to be the one at the top. But doing so requires all the things to be learned and the efforts to be put for hitting the target in the right spot. 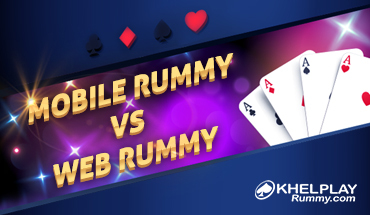 One should never get distracted from what makes any ordinary rummy player the best one, and it is at the base that anything grows up to be the firm and immovable above. One merely needs to estimate the probability of occurrences of the cards and their possible combinations from the start to go on to the winning path. This is another imperative step for opening up the opportunities that may remain hidden under cover of anxiety or haste. Many a people waste their precious time and efforts in keeping things very hasty. Thus, they end up losing more than they had ever estimated for the win. A straightforward step when you play rummy game is to go forward with a calm and wise mind. With so many actions and observations going on simultaneously, one needs to remember to maintain a focus and keep things balanced throughout the gaming time. It is necessary to keep track of the cards picked and discarded for maintaining the required balance. 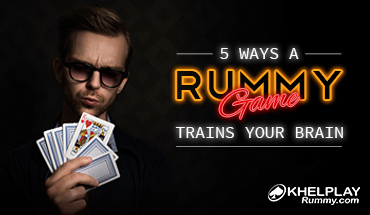 In Rummy, it always pays to move in accordance with the situation and not how it was played the last time. Making a move as per the requirement of a particular stage that you are at, helps you to be adaptable and manipulative. One must forget the preset notions and bring the mind into use for every chance. In this game, deciding the right strategy does not only include the moves but also includes the correct decision henceforth. 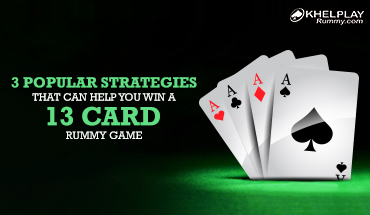 Sensing when to opt for the drop also plays a significant role in contributing to your winning spree. Hence, being persistent and keeping your mind open will always help you reach the farthest point in whatever path you choose.